Sun shining and creating Shadows after all the delightful Snow on Cape Ann MA. Wishing you the best in the week. I love your quote by Lartique, ...as well as your photos. Love the first shot of the sun reflecting on the water! Carol, your top shot is beautiful. A lovely view of the harbor. Cool shadow shot, great captures. Wishing you a happy weekend! 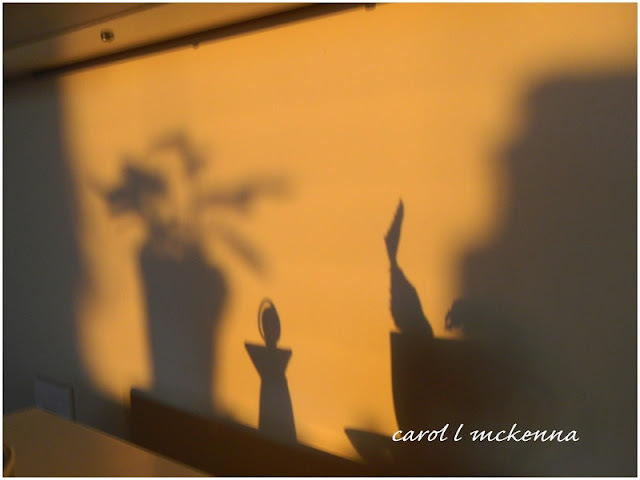 Wonderful shadow shots for the day, Carol!! Hope you have a great weekend!! the top photo is great...and the quote makes it spectacular!!! 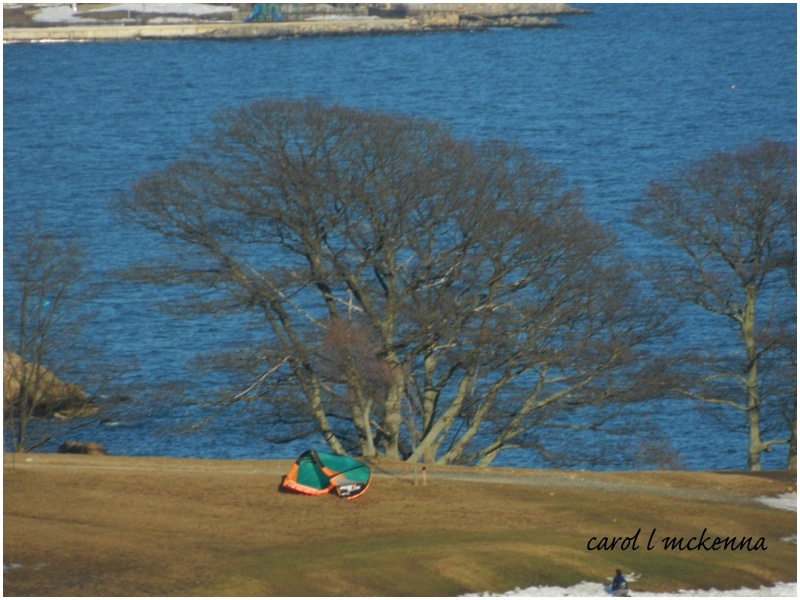 A stunning view of Cape Ann Harbor- superb soft light shadows- and kite flying is delightful especially on a windy day. wonderful quote and beautiful images! well, I'm in love with your shadow shot! I adore your shadow shot - I've never heard of such a thing - and I think it's a beautiful concept! Carol all of your shots are wonderful .. you are so lucky to live near the sea .. I miss it dearly. I love your shadow shots .. some are beautifully blurry and others so amazingly sharp, but all are perfect for today's meme ! PS ... the quote ... I will keep in mind always, because that is exactly how I feel when I "see" a shot in my mind's eye and then through the camera lens. 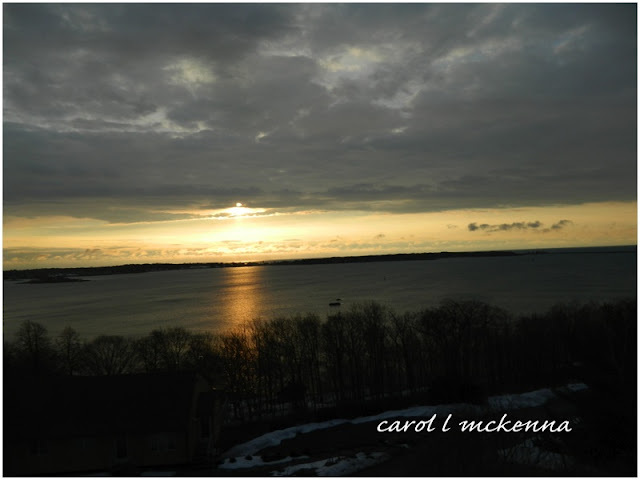 The top view of the harbor is wonderful - the sky with all its gray looks rough but the water tranquil, the rocks on the other side very smooth as they become the horizon...the shadows are artistic and quite warm as the sun adds a glow to the wall that offsets the winter's chill. Cape Ann is so beautiful! Beautiful light, especially in the shadows... I'm so glad you came by to share on Weekly Top Shot #70! The shadows against the wall almost look like candles! love your little assistant... beautiful shots! Such a great variety of photos! Love the shadows! Beautiful photos. I really loved the one with the shadows. I believe you follow Lartique's advice. I see Love here. Your Postcard from Paradise reminds me that spring is indeed on the way--just when I had about given up hope! I like the soft shadows in the second photo! These are beautiful shots! I just love the advice to photographers. It's very true. Your shadow shot is beautiful! And why not fall in love? With your beautiful photos, for your photography is truly lovely.